This concentrate serum contains Triphala Extract, Turmeric Extract, Rhodiola Rosea Root Extract and Argan oil. All acting as anti-ageing agents and excellent sources of skin nutrients, moisturisers and anti-oxidants. These are combined with Oat Extract which provides a firming effect. Tocopheryl Acetate – A vitamin E derivative that has moisturising and anti-oxidative properties. It can help maintaining the skin’s moisture balance and prevent roughness. Also acts as an anti-oxidant to help prevent the skin ageing as a result of UV radiation. Rhodiola Rosea Root Extract – An adaptogenic herb with powerful anti-ageing and anti-stress properties that help the skin cope with internal and external stress factors to normalise the function of the skin. Apply on your face and gently massage until thoroughly absorbed. 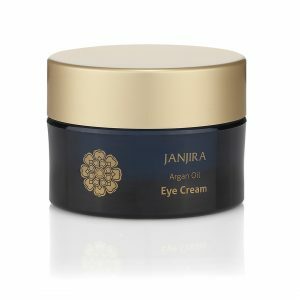 Use in the morning and at night, before Argan Oil Facial Moisturiser. Aqua (Water), Propylene Glycol, Butylene Glyco, Hydroxyethylcellulose, Trilaureth-4 Phosphate, Phenoxyethanol, Avena Sativa (Oat) Kernel Extract, Hydroxyethyl Acrylate/sodium Acryloyldimethyl Taurate Copolymer, Tocopheryl Acetate, Xanthan Gum, Parfum (Fragrance), Squalane, Argania Spinosa (Argan) Kernel Oil, Benzophenone-4, Disodium Edta, Glycerin, Rhodiola Rosea Root Extract, Polysorbate 60, Sodium Hydroxide, Methylisothiazolinone, Ethylhexylglycerin, Phyllanthus Emblica Fruit Extract, Terminalia Bellerica Fruit Extract, Terminalia Chebula Fruit Extract, Potassium Sorbate, Sodium Chloride, Curcuma Longa (Turmeric) Root Extract, Linalool, Butylphenyl Methylpropional, Hexyl Cinnamal, Benzyl Salicylate, Limonene, Hydroxyisohexyl 3-cyclohexene Carboxaldehyde, Hydroxycitronellal.